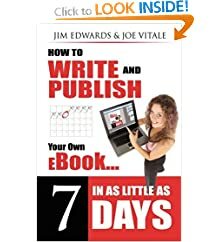 How to write and publish your own OUTRAGEOUSLY Profitable eBook in as little as 7 days even if you can't write, can't type and failed high school English class! Discover the secrets to having your own, outrageously profitable ebook. This definitive guide will show how to master the tools and tactics of the most successful infopreneurs, so you can succeed at producing, marketing, selling, and automating delivery of information products online. The eBook revolution is upon us. Now anyone with a computer can write and publish their own eBook. Best-selling authors Jim Edwards and David Garfinkel take the mystery out of creating an online bestseller. 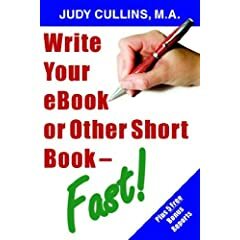 Write Your Ebook or Other Short Book - Fast! Do you have unique, in-demand information and expertise? If so, brand your business with a focused, compelling, and well organized book. Quickly write and publish a top seller that will drive qualified buyers to your business in droves! 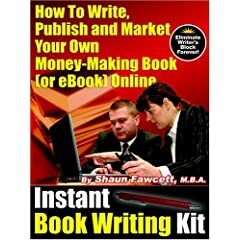 Instant Book Writing Kit is a comprehensive step-by-step book-writing manual that reveals previously unknown secrets about how to make money online with a book or an eBook using the little known Online Publishing Model. I Got My Kindle! Now What Can I Do? 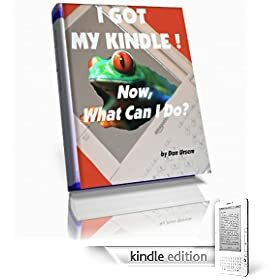 Absolutely ALL About Free eBooks, Audiobooks, PDFs, MP3 music, JPEGS, Email, calendar, SMS Texting, Mp3 Music, Text to Speech, GPS mapping, web browsing, Shopping, Accessories and Personality on Your cool new Kindle. 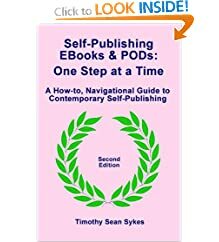 Bestselling eBook writer and publisher, Timothy Sean Sykes shares his secrets for success in these new, wide open fields! After years of publishing with a major east-coast publisher, Sykes decided to strike out on his own.